YOSUDA Indoor Cycling Bike – Is It Worth Your Money? Another bike that has caught my attention recently was Yosuda Indoor Cycling Bike. This particular stationary bike has been on the market for some time now and I was curious about its performance. Unfortunately, since I already have two exercise bikes in the house, I did not want to order third. But my friend did. Yosuda brand is not very well known, mainly because they manufacture only exercise bikes – and not many of them. However, that is not a reason to ignore them now, is it? So let’s check out the features first. The bike’s frame is made of heavy duty steel and it uses 35 lbs flywheel. It is a belt driven bike, so you do not have to worry about the sound, like you do with chain-driven bikes. The handlebars can be adjusted 2 ways and the padded seat has 4 adjustable options, with the height ranging from 25”to 37”. The bike offers 270 lbs max support, emergency brake lever and anti-skid cage pedals, so you don’t have to worry about safety. The continuous infinite resistance adjustment system is great for every cyclist. The LCD display allows you to monitor your speed, time, distance, odometer and of course, calories burned. Nice bonus is bottle holder (not so common among exercise bikes for whatever reason) and IPAD mount. Yosuda indoor cycling bike comes with a 30-days full refund guarantee. With the provided manual, the bike was quite easy to put together. I’d suggest using the manual with picture diagrams – you will be able to assemble it under half an hour. Honestly, this is just info from my friend, since when I tested the bike in his house he already had it assembled. The bike looks good just from a design point of view. The steel frame is indeed sturdy as advertised. My friend put it on a carpet and thanks to the four rubbed parts (2 per each leg) it does not wobble / move around the room. Regarding the pedals, while they are pretty standard, the straps seems a bit cheap, but I guess time will tell how long they will remain usable. The padded seat is very comfortable, no argument there. With the 4 adjustable positions, it fits me (5’10”) quite well. With that being said, the adjustment seat system could be designed more practically. You have to unscrew and screw again the seat if you want to change the position. This can be annoying if several people are using the bike in the same household. Regarding the handlebars, they are designed to provide good arms comfort, although the foam, in which they are covered, does not seem to be of good quality. Right now it looks good, but I do not think this will be the case after several months of active use. As advertised, Yosuda Indoor Cycling Bike runs smoothly and quietly. 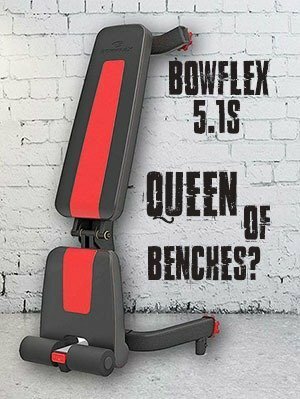 You can use it while watching TV without any problems. Gotta love the belt system, right? The resistance adjustment system is a delight. It can be adjusted during full speed, so you do not have to stop to change it. Due to the infinite adjustment levels, it will fit every cyclist. The LCD monitor is pretty standard and looks a bit cheap, but it shows what it should. Not much to add here. Lastly, the bike itself is kind of heavy (around 68 pounds, which is about 30 kg). If I want to be objective, I have to include pros and cons alike. The bike is no different, it has both. Would I recommend this bike? 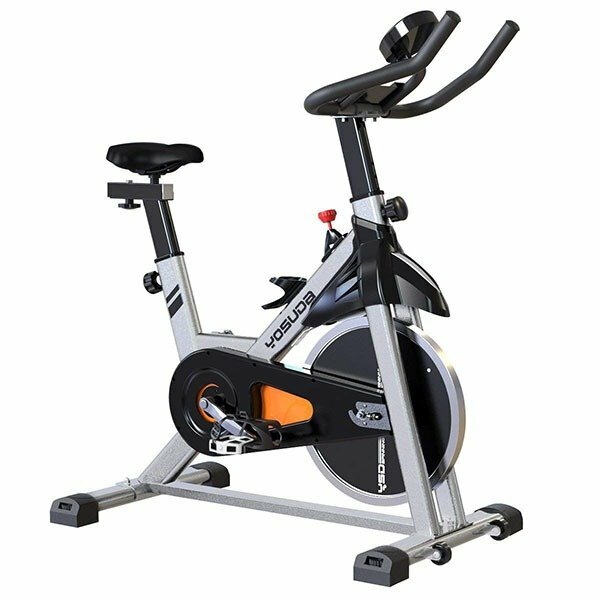 If you are not above 250-260 lbs +, you do not mind screwing and unscrewing the seat to make adjustments and you want a very quiet and sturdy bike, then yes, Yosuda indoor cycling bike will be a great choice for you. 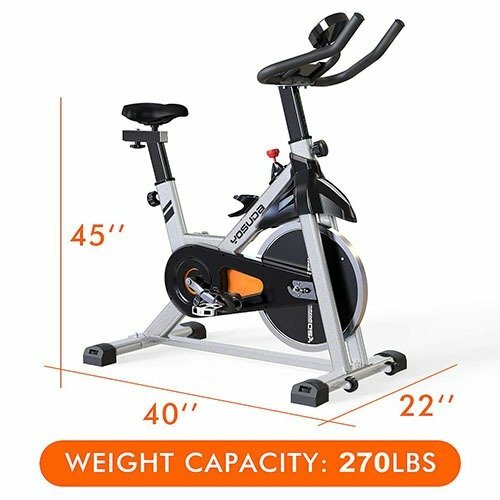 If you need a bike with more than 300 lbs support, I’d suggest checking out Merax Indoor Cycling Bike.